The golf bug bit Joerg von der Gathen years ago. His love of the game and his interest in building materials and engineering details led him to master the art of club fitting. Because of his extensive training, Joerg is able to select a club model that has the design features required to perfectly fit any golfer. He understands the profile of a shaft and can select the features that will optimize the final club. Joerg has been named one of the World’s Top 100 Clubfitters for six years in a row, 2013-2018. He is also a member of the International Professional Association of Clubfitters (IPAC), a prestigious group comprised of global leaders in the field of custom clubfitting. Joerg is adamant that you can’t teach around ill-fitting clubs. He knows that the a proper fitting is a prerequisite for game improvement. New golfers have the most to gain as they really do not know what they need and haven’t developed the proper feel, expectations and performance of a club. 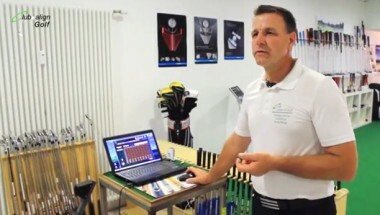 Most avid golfers already know how important it is to be custom fit and many have made Joerg their golf “partner”. And lefties get special attention from Joerg! 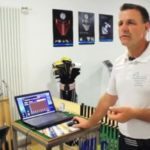 You can set up an appointment with Joerg to be fit on the driving range at City Golf Academy Saarbrücken. The facilities include covered and open bays, a putting green, and a practice bunker. With Joerg’s passion and expertise, he will lead you to the perfect clubs for you. Joerg also fits and builds clubs at the Club.align Golf indoor fitting studio and workshop about 10 miles northeast of the City Golf Academy.